Nintendo is giving away $35 in eShop credit when you buy a Nintendo Switch at participating retailers starting February 15, 2019. 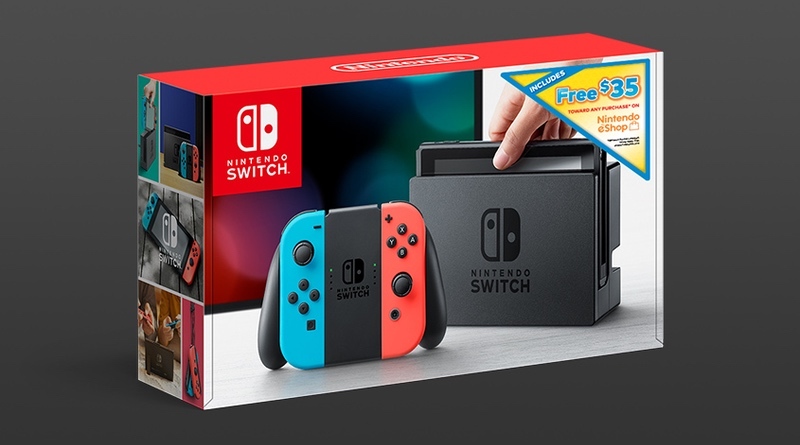 They say this will be “while supplies last”, so if you’ve been eyeing buying a Switch system, you might want to wait until the promotion begins. Use that tax return money to pick up a little something special! Nintendo Switch is home to many critically acclaimed and award-winning games – and nearly all of them can be purchased and downloaded in Nintendo eShop. Nintendo’s digital storefront is a convenient place to browse and purchase some of the most talked-about games on Nintendo Switch, including games like Super Smash Bros. Ultimate, Super Mario Odyssey, NBA 2K19, Fortnite and FIFA 19, as well as indie hits like Hollow Knight, Celeste, GRISand Overcooked! 2. Downloaded games live directly on the Nintendo Switch system, so it’s ideal for gamers who want all their games in one place, as there’s no need to carry around game cards. When browsing Nintendo eShop, Nintendo Switch owners will find games everyone will love across nearly every genre, including recently released games like popular platformer New Super Mario Bros. U Deluxe, two-player co-op action game Travis Strikes Again: No More Heroesfrom Grasshopper Manufacture Inc. and turn-based strategy game Wargroove from Chucklefish LTD. On March 29, players can cozy up to the Yoshi’s Crafted World game and journey through themed stages to solve puzzles and find hidden treasures. On the flip side, stages can be played backward, providing new perspectives to explore and a new challenge to locate all the hidden Poochy Pups. On April 23, the Mortal Kombat series comes to Nintendo Switch for the first time with Mortal Kombat 11, the next evolution of the iconic franchise.